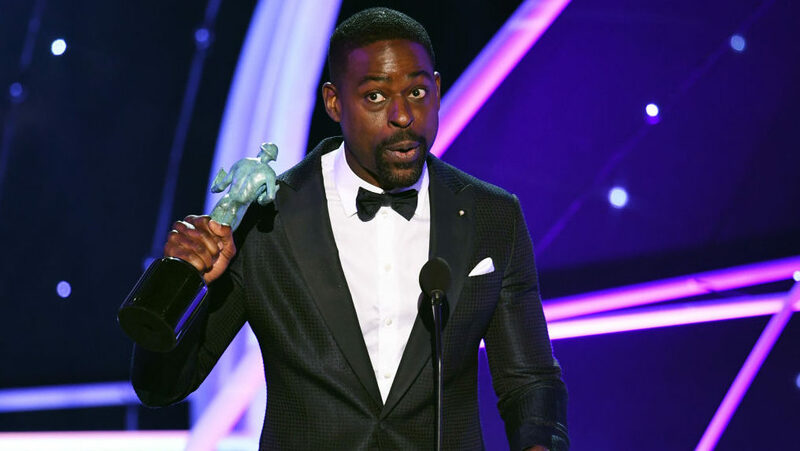 Sterling K. Brown has made history yet again by winning the SAG Award for Outstanding Performance by a Male Actor in a Drama, becoming the first black man to win in this category ever. Two weeks ago, Brown became the first black actor to win a Golden Globe for Best Actor in a TV Series, Drama; while late last year, Brown was the first black actor to win the Emmy for Outstanding Lead Actor in a Drama Series since 1998. Here’s what he said while giving his speech. The actor beat David Harbour (Stranger Things), Jason Bateman (Ozark), Peter Dinklage (Game of Thrones), and Bob Odenkirk (Better Call Saul) who were all nominated in that category.